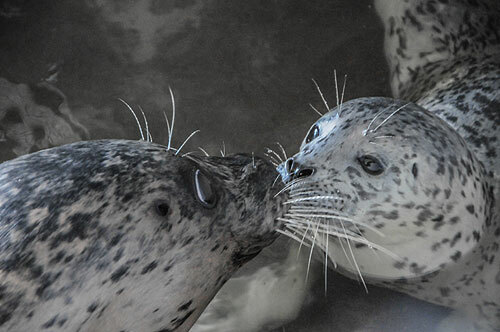 (Seaside, Oregon) – Another bundle of joy for the Seaside Aquarium happened over the weekend, with the birth of yet another baby seal. 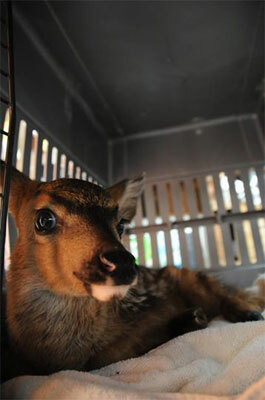 Meanwhile, the north Oregon coast attraction also helped out a fawn that had been injured by an automobile. (All photos Tiffany Boothe, Seaside Aquarium). 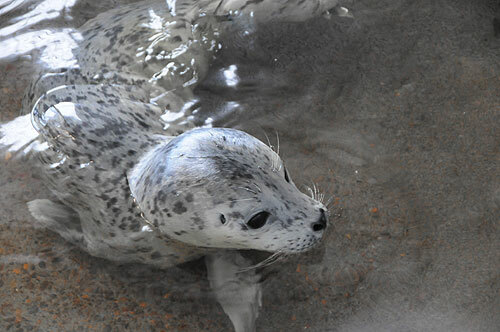 The adventures started early on Sunday with the fawn, but early in the evening the 18-year-old harbor seal Greta began giving birth. The date also happened to be the Seaside Aquarium's 77th anniversary, while Greta turned 18 the day after she gave birth. Boothe said both mom and the pup are doing well and "accepting visitors," meaning they can be viewed soon. Manager Keith Chandler said they had known for quite some time that Greta was pregnant, although that hasn't always been the case. More than a few times over the aquarium's three-quarter century has a seal suddenly been found with child when staff arrive in the morning – to their surprise. This is Greta's fourth offspring, Chandler said. Most of the time, they seem to give birth in the wee hours of the night when no one is around. 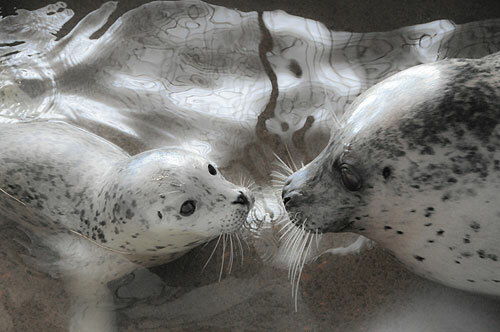 Seal moms simply crawl away to be by themselves and do not cry out with any birthing noises at all. This time, the couple living in the apartment inside the aquarium managed to witness some of the birth, Chandler said. The gender of the baby seal is not known yet, and it usually takes a few days for the mother to stop being very protective, finally allowing them to get a good look. A name won't be chosen for a while, Chandler said. 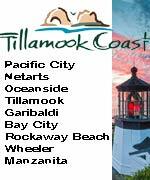 This brings the total to 11 seals at the north Oregon coast attraction. 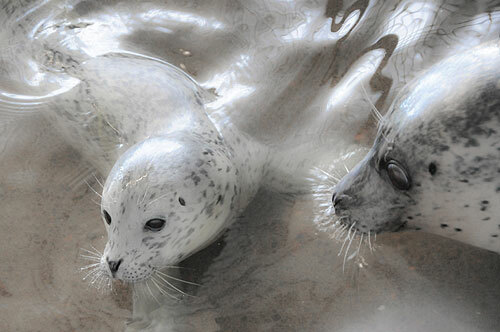 No other seals are pregnant. Earlier that day the aquarium briefly took care of an adorable fawn that had been hit by a car in the Manzanita area, some 20 miles south. 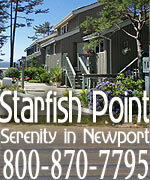 The Seaside Aquarium acted as a relay station, holding onto the fawn until it could be brought to Sharnell Fee, director of the Wildlife Center of the North Coast, another 25 miles north, near Astoria. At first aquarium staff thought the little one would be okay, but the story didn't have a happy ending. Chandler said the fawn's leg was fairly crushed by the car and it had to be put down. The Seaside Aquarium is on the Prom in Seaside. 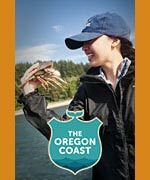 503-738-6211.